Yayyy!!! I am a Six Sigma Green Belt Certified now!!! 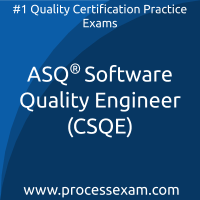 My hard work and right decision to choose processexsm.com premium service yielded me good results finally! 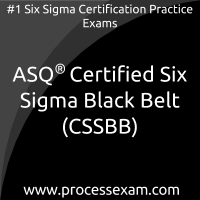 I recently gave CSSGB certification exam and received good scores in the finals. I used to practice the mock tests regularly and analyzed my results through result history feature on the site. 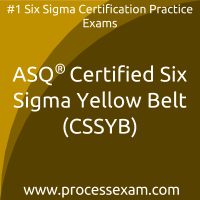 It is very personalized and helped me achieve my target smoothly. 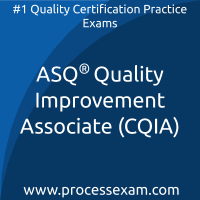 II am very grateful to processexam.com ASQ CQA simulated tests. 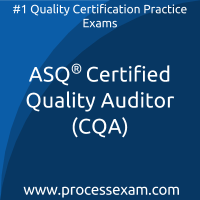 They are very similar to the actual exam and this helped me a lot to achieve good marks in the certification exam. Very happy today! 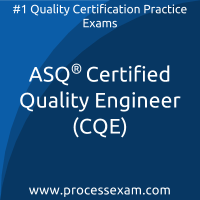 My result in ASQ certified quality engineer certification exam will be credited to my regular practice and of course, processexam.com online practice tests. I am elated that my friend in Spain here suggested me the site after i was very clueless about how to prepare for the certification exam. I gave the practice tests and the random questions and shuffled choices made me prepare for the exam in the best manner possible. While no one reveals the secret, i will on this site. 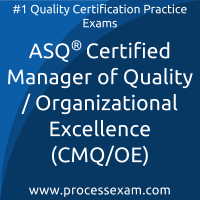 ProcessExam.com is my partner in preparing for ASQ CMQ/OE certification exam. I secured my scores by devoting just 3 months! !